Star Fish Hosting was a leading provider of custom web hosting! No project was too big for our team. 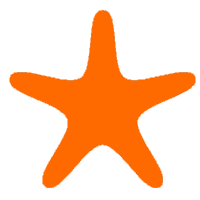 Thousands of businesses from around the Globe counted on Star Fish Hosting to provide day-to-day updates on Web development projects critical to their company’s success. Nowadays we are just pointing people to the right direction and do not directly offer a service. Completed development projects are user friendly yet comprehensive; and all projects are backed by reliable hosting solutions on top-of-the-line servers at corporate level computer location facilities. * Customize Web Site hosting services for all sizes of projects! * E-commerce solutions that will have your business selling online today. * Security systems setup by Certified Information Systems Security Professions (CISSP). * Custom Web development project to better run your entire company. At Star Fish Hosting we know that the best business relationships are developed through a constant contact with the customer; therefore, we contact our customers on a daily basis with updates on the progress of their projects. We also know that satisfied customers are the result of providing proven programming techniques that have show success time and time again. Star Fish Hosting is committed to using the latest, proven Web development approaches to ensure a final product that is bug free. So, whether you want to setup a small domain reseller API interface, or you company needs an online browser-based inventory system for warehouses across the world, Star Fish Hosting can get it done. Create powerful tools for partners and customers that integrate applications and e-commerce. Provide easy-to-use tools that allow employees to centralize, organize, and share information; manage documents; and enable efficient collaboration. Integrate internal line-of-business applications, such as enterprise resource planning, supply chain management, and customer relationship management systems with customers and partners to enable real-time collaboration. Automate business processes such as order processing and contract management. The first time you log into your A2Hosting account you will be asked to choose between the website builder or cPanel hosting. If you are trying to set up a simple WordPress blog opt for cPanel hosting. If you want to use A2Hosting templates and the simple drag and drop site builder tool, opt for the website builder. With over 1000 templates you are sure to find one that suites your business. Once you have selected the website builder, choose which domain you want to build the site for. From thereon click proceed and you will be taken to the next step. This is where you will choose the template you want to use. The builder makes it easy for you to upload images, add text, insert image galleries, add navigation menus, buttons, and much more. Since there is no programming required, all you have to do is drag and drop the various elements you want to add to your website. And you can have a brand new website up and generating traffic in 60 minutes or less. If you want to set up an online shop to sell products, check out HostingManual.net and see how A2Hosting can help with that as well. Unlike with their basic hosting package, with an eCommerce plan you will have multiple options. If you choose the website builder you will have access to 5 eCommerce add-ons to choose from. The cheapest eCommerce add on is eCommerce 25. It costs $10.45 per month and will allow you to sell up to 25 products. If you need to sell more products there is also the eCommerce 50 for $18.45 per month and the eCommerce 1000 for $26.45 per month. You also have the option of a dedicated IP and domain privacy. Most add-ons have a 33% discount on the first invoice. The discount will only apply to the first invoice, though: the subsequent invoices will be available at regular price. You can also create an eCommerce site within cPanel using the “quick install” options. If you create an eCommerce site within cPanel it will be free of charge. ZenCart, Magento, TomatoCart and PrestShop are all available via “quick install”. With A2Hosting quick install you can automatically install your favorite software to your domain of choice. Besides being able to install one of the most popular eCommerce solutions, you can also install your favorite content management software as well as your favorite blogging platform. There are literally a hundred different software you can install with the quick install feature offered by A2Hosting. Some of the options you have available include Joomla, WordPress, Drupal, OS Ticket, Sugar CRM, Typo 3, MediaWiki, Concrete 5, phpBB Forum, Moodle, Nucleus, B2Evolution blog, Modx and Xoops, just to name a few. What Forms of Payment Are Accepted By A2Hosting? You can purchase hosting from A2Hosting using a credit card or debit card. Visa, Mastercard, Discover Network, American Express, JCB and Diners Club International are all accepted. Or if you prefer, you can use your PayPal account. While some electronic may work for payment, gift cards and prepaid cards will not. A2Hosting does not accept cash, money order, bank wire transfer or check for payment. A short post on Black Friday and Cyber Monday and the kind of web hosting you should go for (and not). Make sure you check the best promotions of the website hosting industry while they last. The good news is some companies offer huge discounts. A2 Hosting is one of the best you can go for, so here are the Black Friday / Cyber Monday A2Hosting Offers you don’t want to miss. If you are new to starting your own website business you may be thinking well why would I pay for website hosting when I can get it for free? You have heard the saying nothing is really free. So I am here to tell you to be careful because you could lose everything in a blink of an eye. That’s right all your hard work flushed down the drain because you were to cheap to pay for web hosting. This is your business, don’t skimp out on the most important part of your business and that’s your website. So you may not have to pay money to get a free website and domain name but you can severely pay in other ways. In this article I will discuss why you shouldn’t get a free website and why you should pay for web hosting if starting your own website business on the Internet. Let’s discuss some disadvantages of using a free website hosting company. These sites tend to go down a lot and the support on these websites are horrible so while you have been working hard on your website the support team is in no hurry to fix the problem. This is a big problem especially if this is your business and you are trying to make a living. Speaking of your business…. If your website gets popular then it could be deleted or shut down without warning and without an explanation to you. You see these websites severely limit your bandwidth and your disk space so if your website gets big chances are that they can and will delete you. In fact most of these websites reserve the right to shut down your website for any reason. Why would you poor all your hard work into something that could be erased in a blink of an eye? Don’t it is not worth the risk. These websites are great for hobby sites or sharing stuff with friends and family but definitely not for your business. Your free website will be crawling with ads that you will not make a penny for even though it is on your website. Seem unfair? Well it’s not that is how they keep there web hosting free. Instead pay a little bit for web hosting and put the ads you want on your own website and make a little extra money. The second looks more professional and people will take your website more serious if you have a professional look about it. If you just want a hobby site then free web hosting is great but if it’s for business just don’t do it, it’s not worth losing everything you worked hard for. Again, the good news is you can go for premium web hosting on Black Friday and Cyber Monday for much less than the usual price. So we have recently given a try to Web Hosting Hub. Based on it’s online reputation, it’s a pretty hot hosting company with every feature you can imagine. Let’s take a look at the details. Let’s start with a very important feature and that is backup. Every reputable hosting company should make sure that the data of their clients are safe. That goes for RAID storage, security against hackers, and last but not least, regular backups in case any of the previous fails. Web Hosting Hub passes that test as they do regular backups. How valuable you find the services of Web Hosting Hub are all relative. But for the money Web Hosting Hub asks, there is hardly a better package on the market. The value is more than reasonable for the money. Compared to a free hosting account of a free blog, the advantages are quite obvious. The first and utmost important is the over the clock support. When something goes wrong, there is always someone at the other end ready to help you. You also get an uptime guarantee. Your web site is guaranteed to be online for a very high percentage of time or your money back. You won’t have limits with your accounts. Host any number of web sites, add as many domains to your account as you want. There is no limit on MySQL accounts either. One thing I found a bit lacking is that they don’t offer Virtual Private Server plans. I could use such a plan as the project I was working on needed a lot of resources but not that much that a dedicated server would be justified. Some kind of virtualization technology must still be used by Web Hosting Hub, since it’s a lot of servers and a lot of customers. As I have already articulated, security is among the most important thing you should pay attention to. Web Hosting Hub knkows this, you can by an SSL certificate to make sure all transferred data is secured. There are a lot of hosting services out there offering the same features. What makes Web Hosting Hub different is the quality it delivers. Most of the Web Hosting Hub reviews say that it’s a very simple but quite effective hosting service. It’s a one size fits all solution. Customer service is praised all over the place. It’s the best feeling when you run into an issue and get just the help you need. It may be a little thing, or a very complicated matter. Support is there to help. There is no such thing as unlimited. It doesn’t matter that the hosting companies use that term. There is actually a fair use policy in place for these web hosts. It means that above a certian usage, your hosting account may get suspended. I have gone through a lot of reviews and no one mentioned or complained about a suspension. They also have a pretty active blog, where they share a lot of cool stuff and tutorials. Worth checking out for sure. Some Web Hosting Hub reviews may sound like hype, however in most cases it’s actually reality. It’s a very solid service for a very good price. I can recommend it to everyone!